A clear, concise, up to date, authoritative history by one of the leading historians in the country.Give Me Liberty! is the leading book in the market because it works in the classroom. 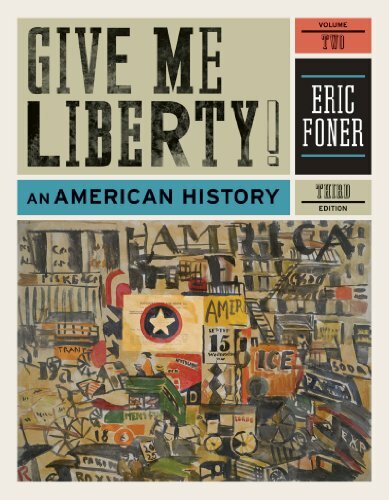 A single-author book, Give Me Liberty! offers students a consistent approach, a single narrative voice, and a coherent perspective throughout the text. Threaded through the chronological narrative is the theme of freedom in American history and the significant conflicts over its changing meanings, its limits, and its accessibility to various social and economic groups throughout American history. The Third Edition places American history more fully in a global context. The pedagogy is also enhanced in the Third Edition, with a Visions of Freedom feature in each chapter and more extensive end-of-chapter review exercises. Got an opinion on this product? Review it!